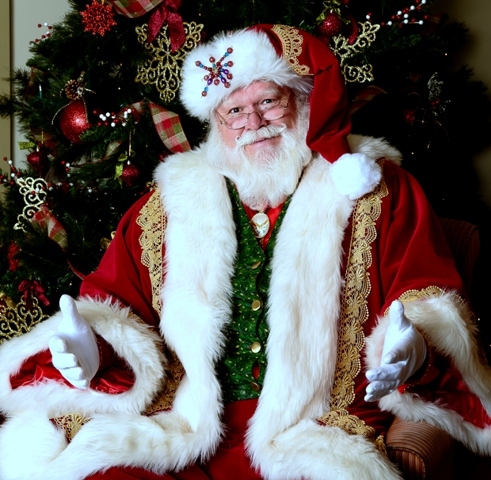 A Professional Santa in Atlanta and around the North Georgia area known as Atlanta’s Santa Jeaux. 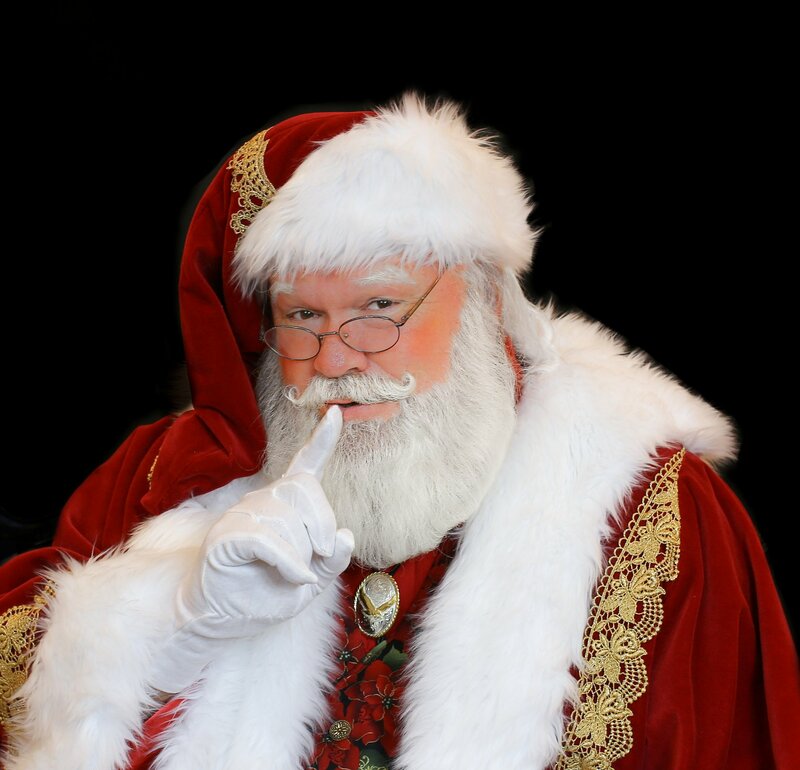 And, he’s not always at the North Pole, he has a summer home in Sugar Hill, Georgia (a small town near Buford), so he is also known as Sugar Hill Santa. But, it really doesn’t matter where the children see him, they always just know him as – – – – – – – – – > SANTA. 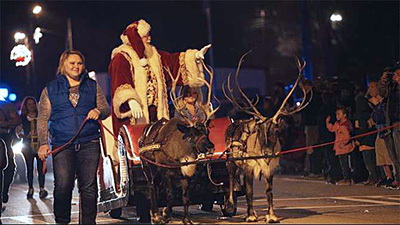 Whether hired as Santa Claus in Atlanta for a parade, like the Christmas parade in Porterdale, Georgia (shown above), a Christmas decoration lighting or for your family visit or corporate event around North Georgia, you’ll know Atlanta Santa Jeaux IS the real deal. Being Santa is much more than wearing a red suit and hat with white fur and black boots and saying ‘Ho-Ho-Ho’. And, since it changes what is already in your heart, Being Santa in Atlanta is not a job, it is a calling. There is no joy like that of witnessing as that child, who once was afraid of that big man with long white whiskers, becomes an joyful fan. They may also share their new found joy with others. 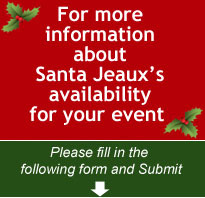 Your guests, children and adults, will grow in their belief in the spirit of Christmas as they experience the warmth of Santa Jeaux’s appearance (a Santa in Atlanta). It doesn’t matter if they are young children just learning what Christmas feels like; those that have been delighted for many youthful years; those ‘young at heart’ adults that, because of their special needs, still feel and believe as much as those many years younger; or, adults who are reliving their own spirit-filled Christmas sensations through the eyes and hearts of their children and grandchildren. You will see that the idea of Santa Claus crosses the boundary between reality and fantasy. It brings out that childlike attitude of giving and love that elevates your guests from those that experience it from just fun to a level of joy, appreciation and love for each other.